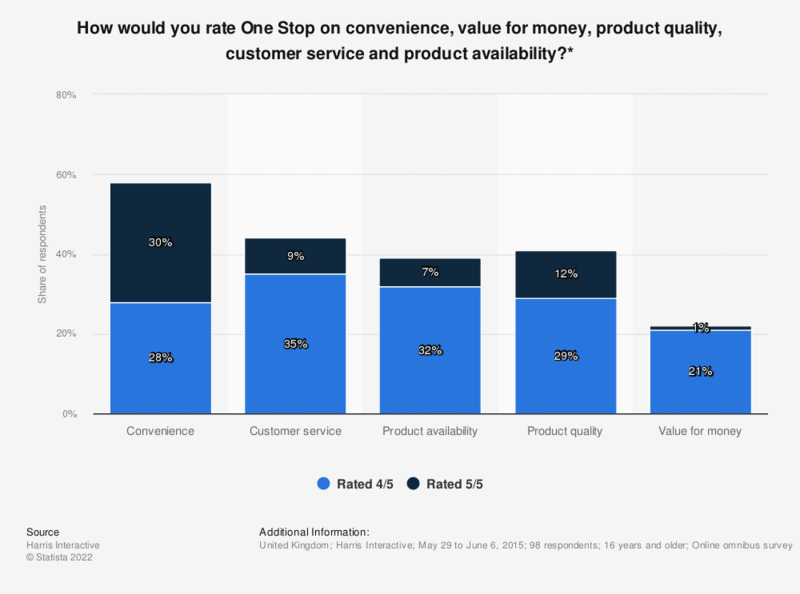 The statistic shows an evaluation of One Stop's performance according to shoppers in the United Kingdom in 2015. Of respondents, 58 percent rated the convenience as a 4 or 5, but only 22 percent rated the value for money as a four or five. * This question was phrased by the source as follows: "How would you rate these retailers on convenience, value for money, product quality, customer service and product availability? Please use a 1-5 scale with 1 being the worst and 5 being the best." Statistics on "Albert Heijn supermarkets"